There is no better way to boost a mood than with some movement. If your office is in a larger building, walk the halls! Or, head to the gym for a mid-day break or to jump-start your day. It will energize you and make you forget about the weather outside. One of the best ways to combat winter sadness is with the thing we are lacking the most- light. Keep blinds/curtains open to allow for maximum natural light. For particularly dreary days, invest in a light box and take short breaks sitting in front of it. Who doesn’t love a good snack break? No one! But sometimes our snacks can work against us. Items like sugary candy or chips leave us feeling momentarily satisfied but can lead to a major crash later, which only adds to the winter blues. Instead, stick to more filling snacks like crackers and hummus or a cheese stick. For a sugar fix, try a square of dark chocolate. 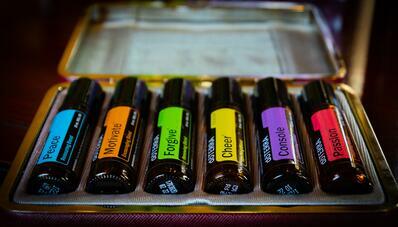 Once you try essential oils they will truly become essential to your routine! If you have your own office, get a diffuser for a subtle scent that fills the room. For a more targeted approach, keep rollerballs of your favorite scents for your wrists, face or wherever you like! Scents like lemon and peppermint can boost your energy and mood. Summer is the most thought of time for that well-earned PTO. But why leave when it is already warm out? Take advantage of some of winter’s long weekends and make a quick escape. By traveling outside of spring break time, you can also score some flight deals! While spring can’t come soon enough for most of us, winter does not have to be so bad! 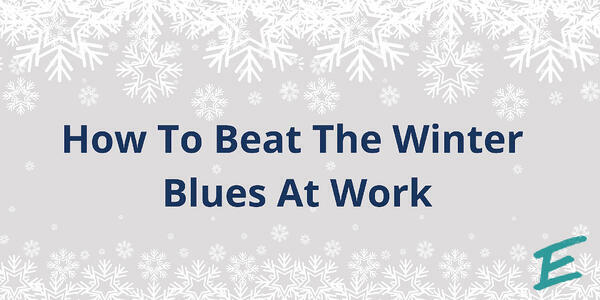 At AdvantEdge Workspaces, we are always looking for ways to combat the winter blues. 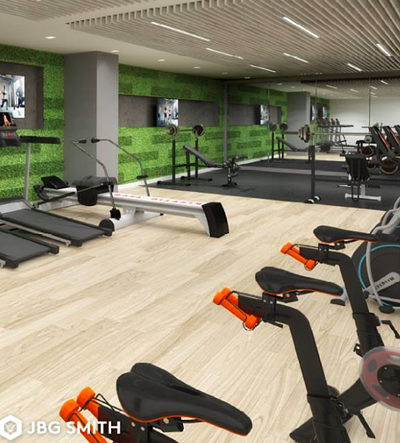 Our spaces are filled with light, and our L Street location just remodeled their gym (free to use for clients)! 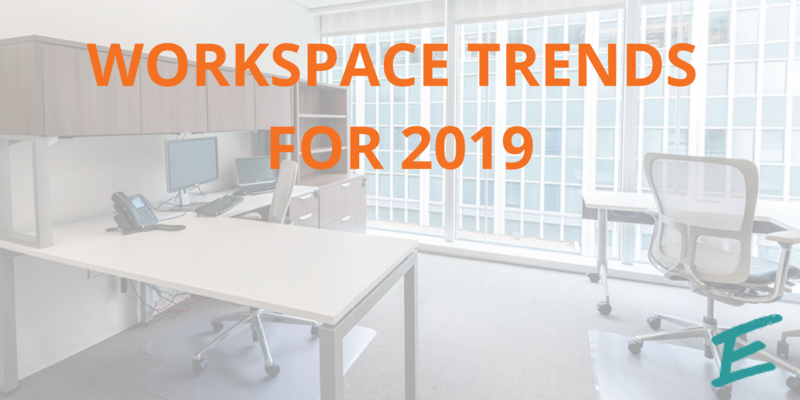 But the ultimate way to feel better this season is to try a new workspace solution that caters to your needs. Come check out our spaces and see what you are missing!